By The Center for Academic and Accessibility Resources. 2 What is homesickness? Starting university generates both excitement and anxiety about the move, studying and meeting new people. 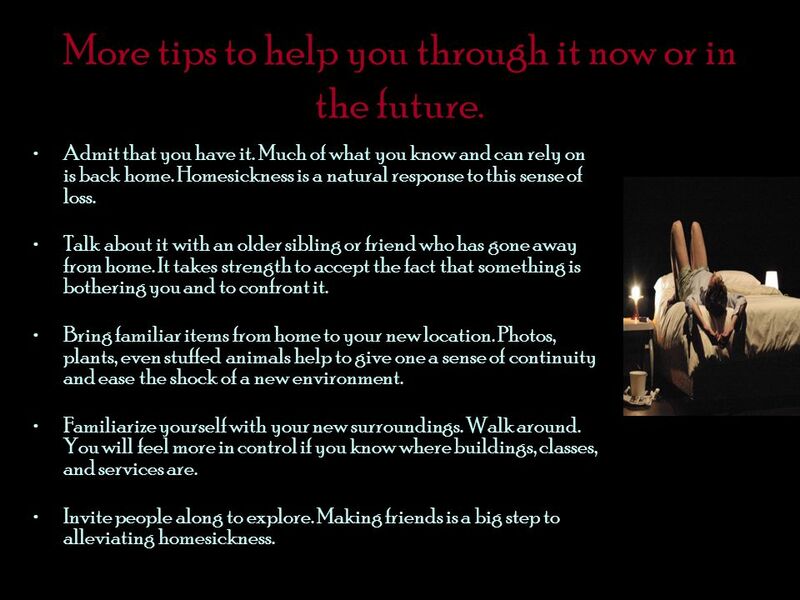 For some, this transition is quickly overcome as you adapt to a new environment; for others the transition takes longer and sometimes emerges as homesickness where you become preoccupied with thoughts of home. You feel shaken and lonely and you long for the secure and the familiar. Sometimes these emotions are completely overwhelming. Tasks that would normally have been easy, can suddenly seem quite a challenge, or even feel impossible without your usual framework of support. 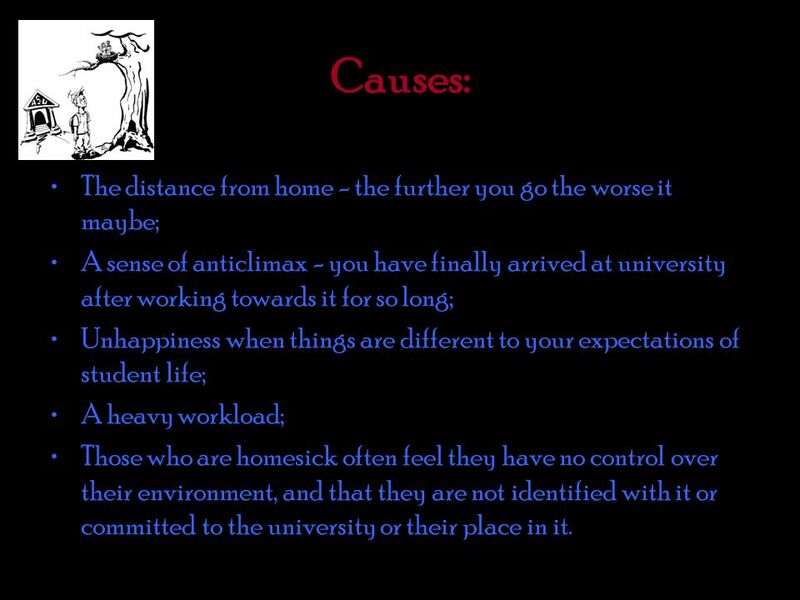 3 Causes: The distance from home - the further you go the worse it maybe; A sense of anticlimax - you have finally arrived at university after working towards it for so long; Unhappiness when things are different to your expectations of student life; A heavy workload; Those who are homesick often feel they have no control over their environment, and that they are not identified with it or committed to the university or their place in it. 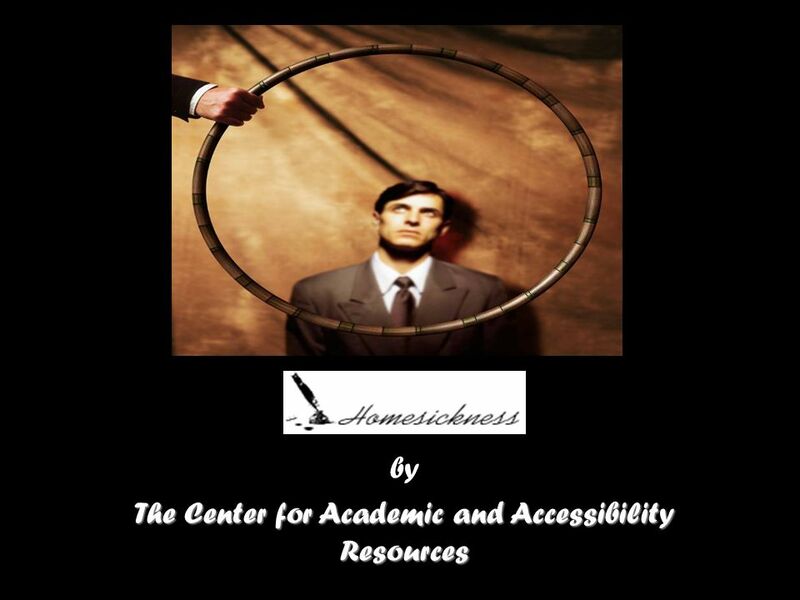 4 So what does research says about homesickness… 35 percent of beginning university students experience homesickness But as common as homesickness might be, it is important to recognize that homesickness comes in different shapes and sizes. 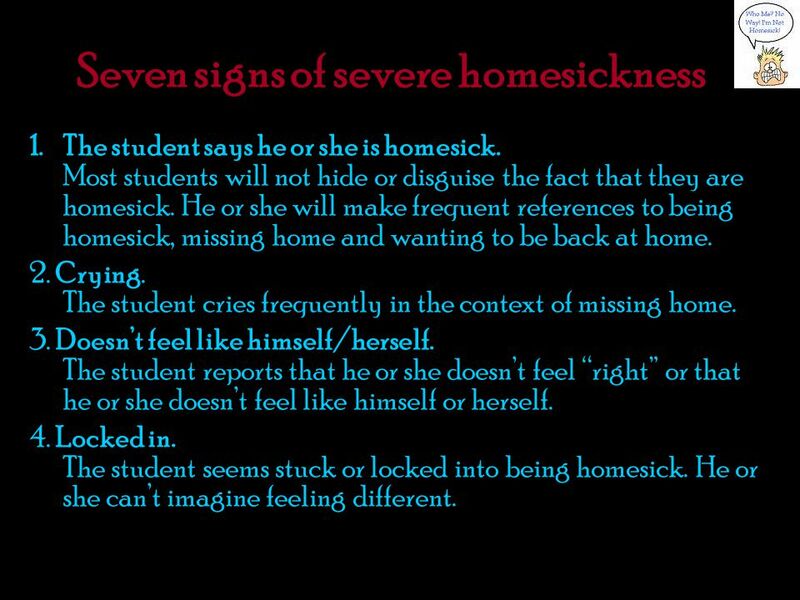 For every 7 students who suffer from traditional homesickness, there might be 1 student who suffers from severe homesickness. between 5 and 15 percent of beginning students suffer from this more severe form. What is the difference between traditional and severe homesickness? Mostly it is a matter of duration and degree. Traditional homesickness is less intense, comes and goes, and eventually drifts away on its own several weeks. Severe homesickness is more intense, persists continuously and doesn’t seem to budge, even after weeks and months. Also, traditional homesickness, while distressing, isn’t debilitating and the student continues to meet people, make friends and function academically. 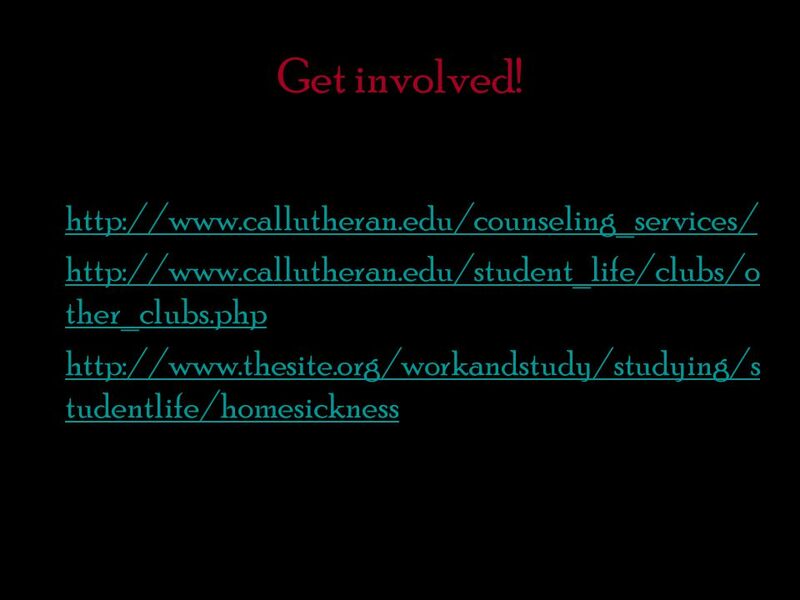 Severe homesickness is debilitating, making it difficult to socialize and to function academically. 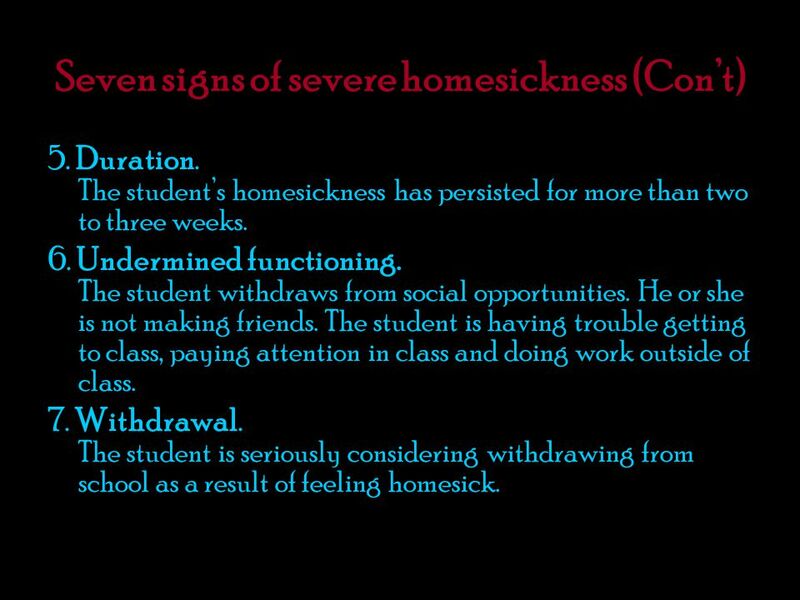 5 Seven signs of severe homesickness 1.The student says he or she is homesick. Most students will not hide or disguise the fact that they are homesick. He or she will make frequent references to being homesick, missing home and wanting to be back at home. 2. Crying. The student cries frequently in the context of missing home. 3. Doesn’t feel like himself/herself. The student reports that he or she doesn’t feel “right” or that he or she doesn’t feel like himself or herself. 4. Locked in. The student seems stuck or locked into being homesick. He or she can’t imagine feeling different. 6 Seven signs of severe homesickness (Con’t) 5. Duration. The student’s homesickness has persisted for more than two to three weeks. 6. Undermined functioning. The student withdraws from social opportunities. He or she is not making friends. The student is having trouble getting to class, paying attention in class and doing work outside of class. 7. Withdrawal. The student is seriously considering withdrawing from school as a result of feeling homesick. 8 More tips to help you through it now or in the future. Admit that you have it. Much of what you know and can rely on is back home. Homesickness is a natural response to this sense of loss. Talk about it with an older sibling or friend who has gone away from home. It takes strength to accept the fact that something is bothering you and to confront it. Bring familiar items from home to your new location. Photos, plants, even stuffed animals help to give one a sense of continuity and ease the shock of a new environment. 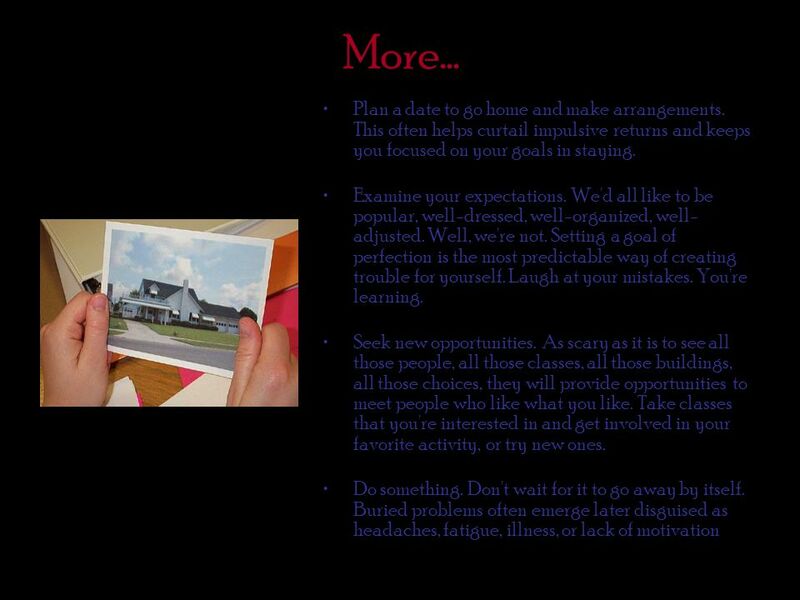 Familiarize yourself with your new surroundings. Walk around. You will feel more in control if you know where buildings, classes, and services are. Invite people along to explore. Making friends is a big step to alleviating homesickness. 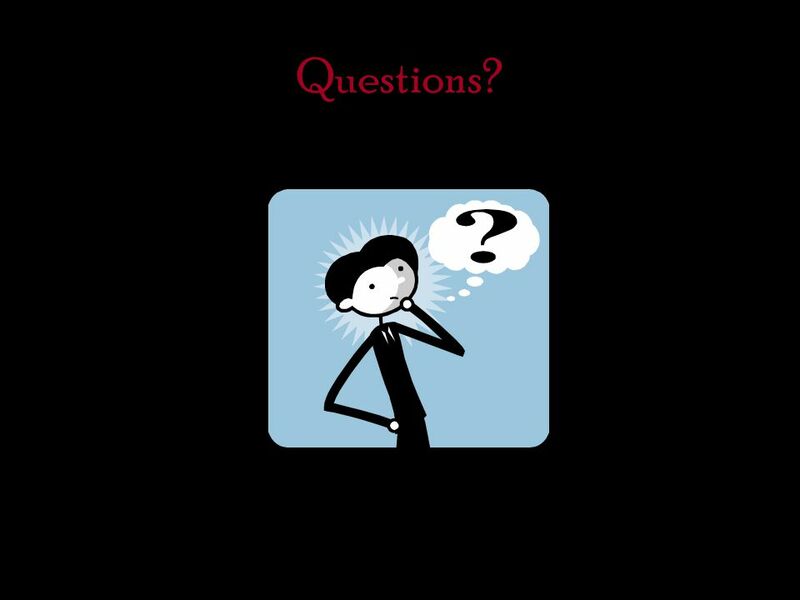 Download ppt "By The Center for Academic and Accessibility Resources." Understanding culture Shock to better lessen the impact Maj Jean Boily, CD, RSW Travailleur Social /Social Worker. From your English Department Advisors. 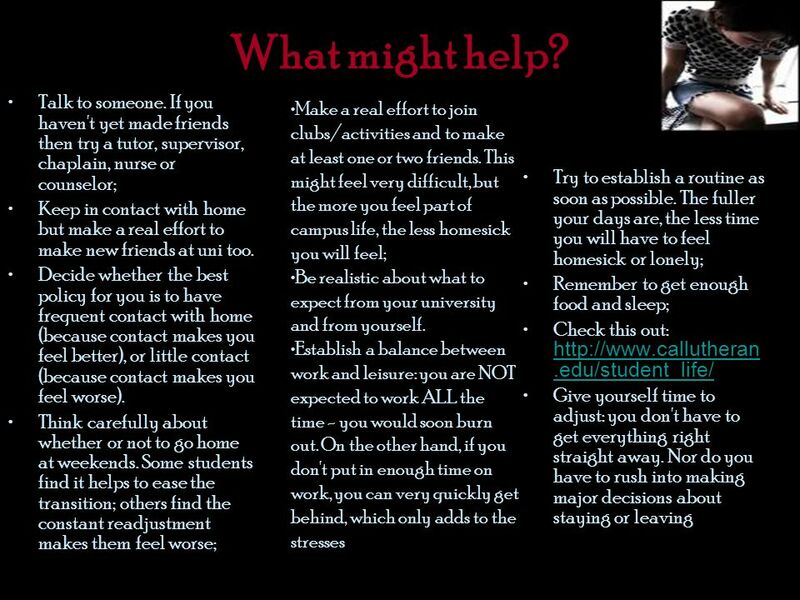 The whole set is posted as one presentation entitled “Tips for New Students” in the “For Students” section. (The. Information from: Child Care Support Network By: Rebecca Chopp. EAP 1 Expectations and Comparisons. A. expectations, transition, an anti- climax, homesickness, environment B. grieving, apprehension, tolerance, vulnerability. Change, a normal part of life, can be a major cause of stress within families. It is important that all family members develop coping skills for dealing. Dealing with Anxiety and depression! + STUDY ABROAD PREDEPARTURE MODULE CULTURE Presented by: Study Abroad Office. Signals, Phases, & Intercultural Transition.  More commonly referred to as “culture shock”, culture shift is the physical and emotional discomfort experienced. BALANCE & Keys to a successful year! TIME MANAGEMENT 101.